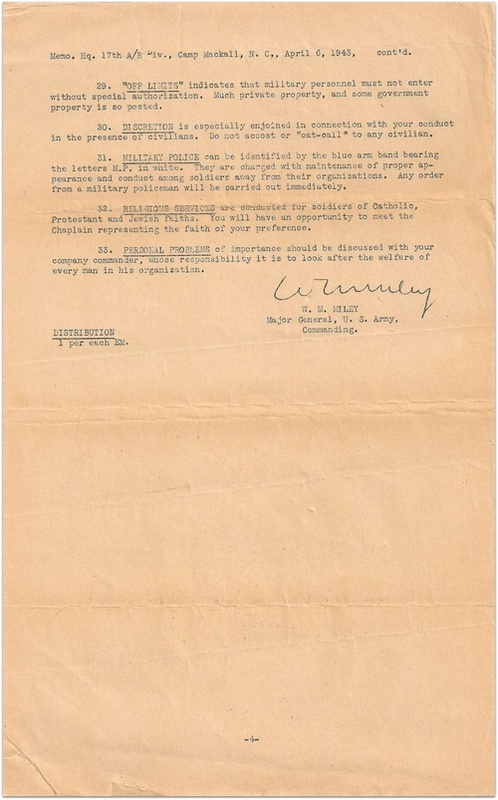 Colonel James R Pierce : Commanding. 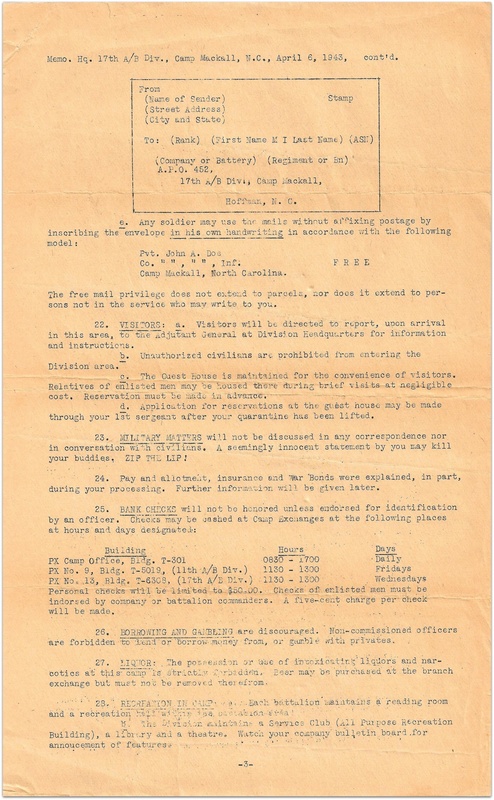 Lt. Col. Clark N Bailey : Executive officer. 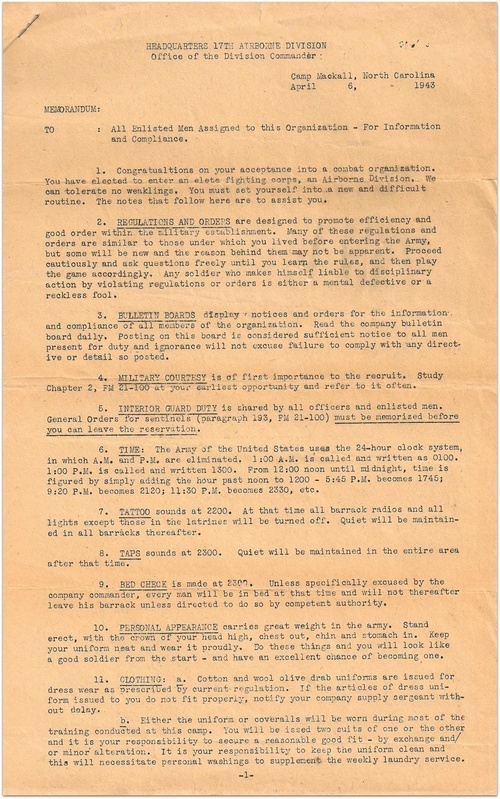 Major Carl Peterson : Regimental Plans & Training Officer (S3). 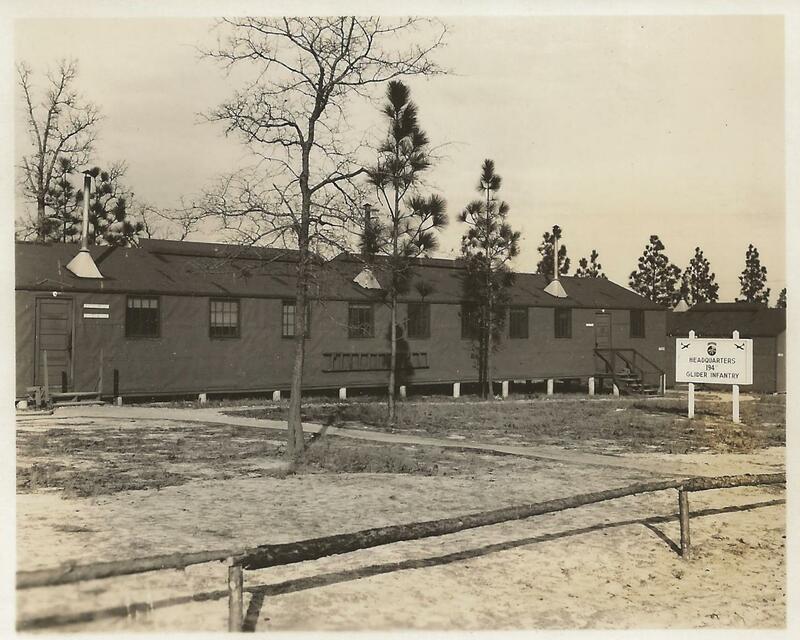 Nice view of the Headquarters of the 194th Glider Infantry Regiment when the 17th A/B was located in Camp MacKall, N.C. in 1943 (original (unpublished ?) photo - TFH collection). I have in my collection a little grouping that belonged to Leo F GUMPER (ASN 33602366 ?). Leo served with HQ Company of the 194th GIR. I have found in this grouping this interesting document : a Memorandum dated April 6, 1943 and signed by the divisional CO, Major General William M. MILEY. 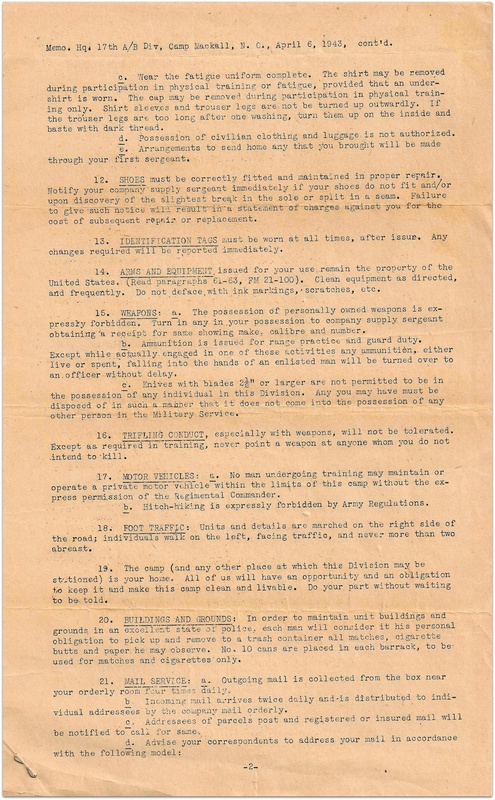 This 4 pages document is the internal rules and regulation distributed to each Enlisted Man. 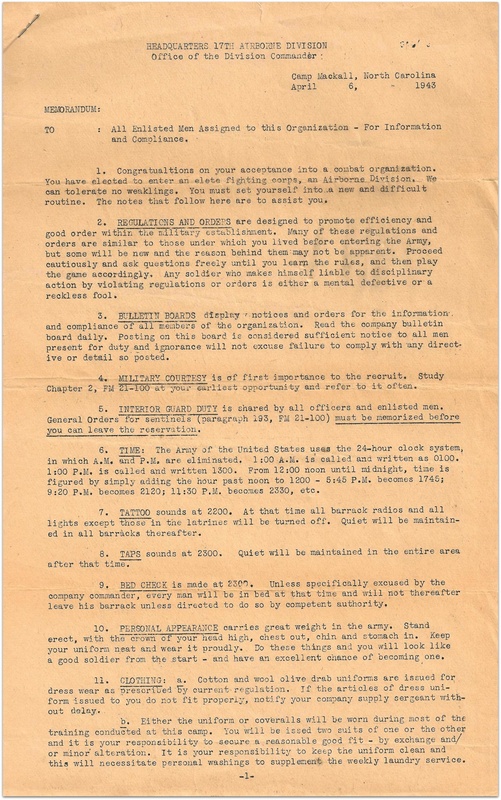 Some kind of a new soldier's guide with all the important info required for the military life in 33 points (original document - TFH collection). 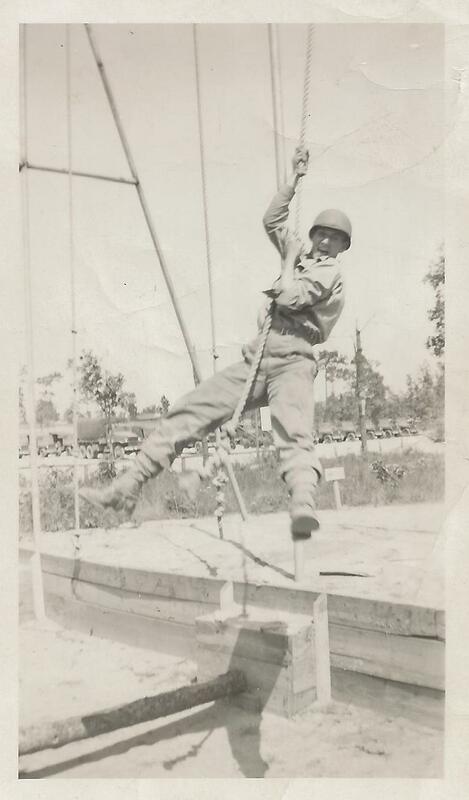 Michael G. Moravcik on the training ground, Camp MacKall, 1943. Michael was with the 194th GIR HQ Co 2nd Battalion 1st platoon, 30 cal machine gun platoon (original unpublished photo - TFH collection). 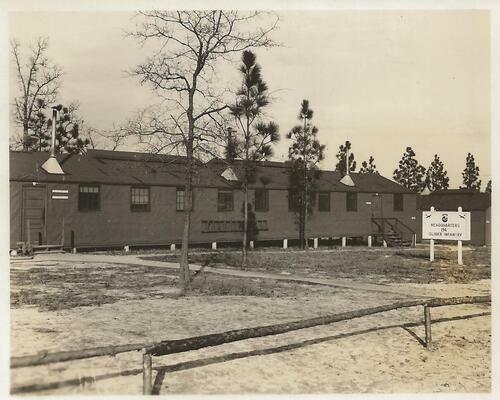 This picture was realized at Camp MacKall, North Carolina in 1943. It shows a typical street scene in the Camp. 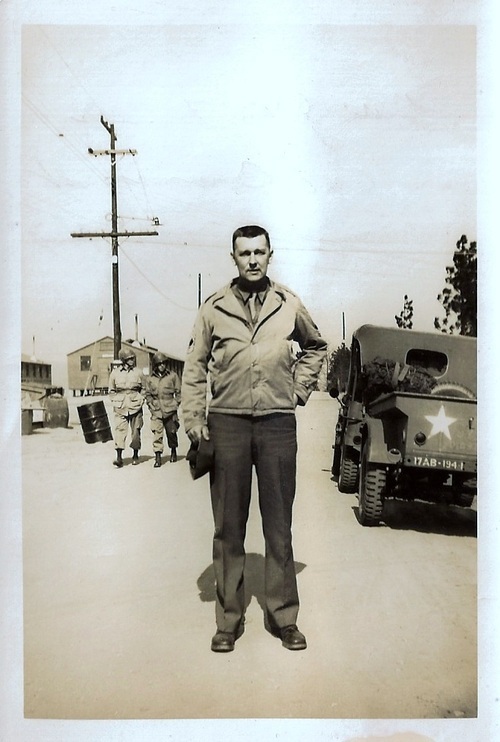 The man is Master Sergeant John L CARR HQ & HQ Company / 194th GIR. 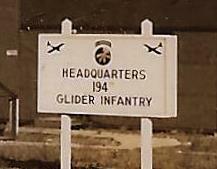 The unit identification is clearly visible on the trailer on the right (17AB-194-I). 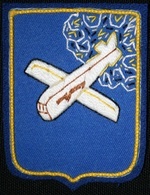 The man wears the typical uniform of the glider troops with M41 field jacket and wool trousers. Note the two paratroopers on the left. John L CARR was awarded Bronze Star Medal during the battle of the Bulge (unpublished photo - TFH collection).